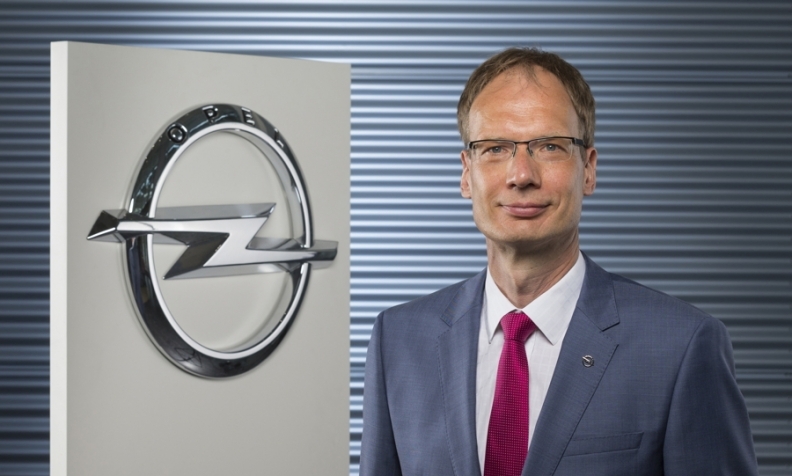 Lohscheller has served as Opel finance chief since 2012. BERLIN -- General Motors' European division Opel is losing its CEO, Karl-Thomas Neumann, just as it prepares to be acquired by PSA Group, a move that could see Neumann rejoin Volkswagen Group to run its Audi division. Neumann, 56, who has restored Opel's image and reputation since taking the helm in March 2013, on Monday resigned from his post, making way for finance chief Michael Lohscheller to become the next CEO of the 155-year-old carmaker. "Under Neumann's leadership we have made enormous progress in turning around Opel," GM President Dan Ammann said in a statement. The U.S. parent's European business also includes British brand Vauxhall. VW is looking at rehiring Neumann, possibly to lead its Audi luxury brand, where CEO Rupert Stadler has come under fire, a source told Reuters on Sunday. A growing expansion by VW group into electric cars and digital services as part of a strategic shift following its diesel scandal could be another reason to join for Neumann, a trained electronic engineer, analysts said. "The prospects are good that he will move to Volkswagen," said Bankhaus Metzler analyst Juergen Pieper. "He's one of Germany's most distinguished car managers and VW is in great need for excellent people." PSA wants Opel to return to lasting profit no later than by 2020 with operating margin goals of 2 percent that year and even around 6 percent by 2026 - a target never achieved under Neumann whose push for profitability was hampered by a weak Russian market and effects of Britain's Brexit decision. "We will vigorously proceed along the agreed path and gain more clout as part of the PSA group," Lohscheller said. Germany's Frankfurter Allgemeine Sonntagszeitung reported on Saturday that while Neumann views the sale to PSA as the right strategic step, he is concerned that the new owner is underestimating the growing importance of electric cars. "These comments are interesting given we have previously noted our concerns around PSA's lack of investment in key future trends," said London-based Evercore ISI analyst Arndt Ellinghorst. Neumann said on Twitter he will stay as member of Opel's management board until the closing of the acquisition by PSA. When he lost his post as head of VW's vast operations in China in 2012, sources at the carmaker said at the time he was too aspiring for the then-CEO Martin Winterkorn. "VW boss (Matthias) Mueller has a more open leadership style that is not authoritarian," Pieper said. "That would facilitate Neumann's return."